At the far end of the Clan lies the Hall of Journeys, the acceptance point for the Clan Lands. While before the borders were carefully monitored, a new system seems to be tested. The current members now watch to see who will come be a part of the new Clan. It is time to welcome back returning Clanners and new recruits. First DO NOT post as your Username. That is, as a guest, when you're asked to provide a name for your post, do NOT use your Dragon's name. This will prevent you from being able to use the name to register your Dragon. Second: Consider giving us your real email address. When you register, you will be asked for your email address. You will be sent an email when your registered Dragon is approved.Also, if you ever lose your password, it will be emailed to you. Using a valid, reliable email is a good idea. Third: Post the form below on this topic. The words in italics are an explanation of the form. Username: We changed the rules so you can sign up as your name or your dragon's. If you sign up under your name you will get a gold coloring to differentiate. Note if you sign up as your dragon name you will be referred to (for lists and formal things) as DragonName[Name]. Otherwise you will be referred to as Name[OA]. We don't do nicknames (for lists/exc), so please keep this in mind when picking a username. Fourth: Register your Dragon. (Click here for a screen shot.) This may either be your name, your nickname, your Dragon's full name, your Dragon's nickname - that is up to you. Click here to register your account! Once you've done this - you're all set! A Clan Elder will look over your application to make certain everything was done correctly and than you will be accepted! Simple as that. Thank you for reading over this and we look forward to having you join the Clan! my real name: Haley, Refer to me as cl0udy or Larry. Edit by Maia: Please register your character so I may approve you. Referral credited to Nicole - won 15 gems! Fourth: Register your Dragon. (Click here for a screen shot.) This may either be your Dragon's full name or your Dragon's nickname - that is up to you. Your account name here will be your Dragon's name, not yours. Your password may be whatever you want it to be. A combination of letters and numbers usually is the safest; just never use something as simple as your birth date or your name spelled backwards. Click here to register your account! Ok i registered. ready to be approved. Aeries Edit: Welcome to the Clan! You need to register with your dragon's name instead of your own. Edit by Garfy: Approved. ^^ Welcome! Maia or Aeries: Iahdo needs referral credit. Aeries Edit: Referral Credit to Iahdo: 5g! Edit by Garfy: You need to regiester your account before we can approve you. Aeries Edit: Approved! Welcome to the clan! Edit by Garfy: Approved! Welcome in! Edit by Maia: Referral credited to Nicole - you win an extra egg! Yay! But your account is supposed to be under your dragon's name, so can you reregister with that name? Okay. Approved! I need referral credit. I need to figure out how the referral prizes are done. Edit by Maia: Referral credited to Garfy - you win an extra egg! Referral credited to X - won 15 gems! I want to be in X's one letter club. Philosophy of Chazz Micheals - Clothing optional! OMG We has a V!? Your Name: My name's Bryan (: You can all call me Bryan, or Bry, or any other variation of the name. 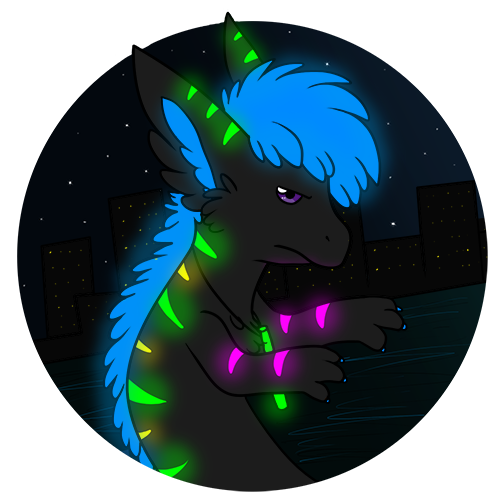 Who Referred You: I actually found this on my own :3 I remembered the Draik Clan from years back on Neopets and thought I'd join now that I just obtained my little Zevi. Edit by Garfy: Account approved. No referral credit.